Pastoral care is not merely a complementary practice at Silcoates; we ensure every child is known and valued as an individual, focusing on the whole child (personal, social and academic), engaging all members of the school community as providers of pastoral care. This is evident through Specialist Tutors, Youth Mental Health First Aid Associates, a Safeguarding Team, Anti-Bullying Champions, Peer Mentors, and Student Council Members. Our dedicated team of staff aim to support children effectively by meeting their personal, social and academic needs on a daily basis, allowing them to progress on their educational journey in a safe and supportive environment. The pastoral teams are highly experienced and trained appropriately to ensure best practice. Regular contact with home allows parents and staff to communicate freely to ensure that children are supported and their needs met. Heads of Section have a wealth of pastoral knowledge and the School Nurse and Chaplain provide excellent additional pastoral support. After school and lunchtime supervision is good, with a regular staff presence. Prefects operate effectively, attached to year groups or the Junior School, with their own self-evaluation to review their performance. The Peer Mentoring, Paired Reading and buddy system allow older pupils to help younger ones with any issues they may face. New pupils are integrated quickly into the school community, embracing all that Silcoates has to offer. There is a genuine commitment to anti-bullying initiatives, with everyone signing an anti-bullying pledge. All staff have completed appropriate safeguarding training and we have a high level of experience and expertise among senior staff, both in safeguarding and safer recruitment. We have a very strong and well developed relationship with the local safeguarding board and the school is used as a venue for training. We have good contacts with outside agencies and have access to public and private counselling services when needed. Each section of the School has a pastoral structure appropriate to the age of the pupils. Each pupil is under the supervision of a Form Tutor with whom they can make a personal contact and form an appropriate relationship, so that the member of staff can listen to and understand their experiences, and monitor their progress. 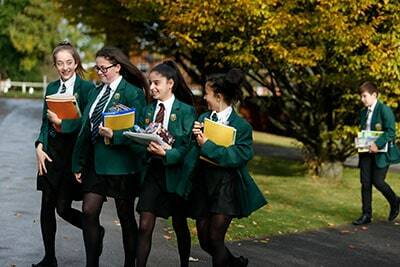 The School aims through its pastoral care to give all pupils the experience of school as a well-ordered, caring community where relationships are open and friendly, warm and supportive, so enabling pupils to develop their potential.